The okapi is the only living relative to the giraffe, which can be found in Central and north-eastern Democratic Republic of Congo, central Africa and are endangered due to factors such as habitat loss. 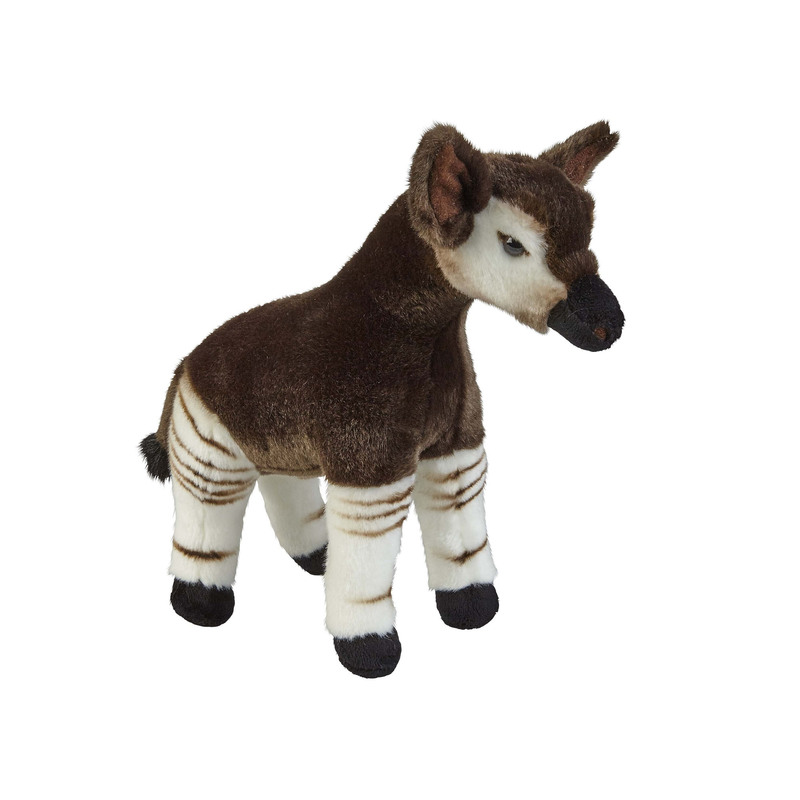 This delightful okapi soft toy looks just like a real okapi with a soft thick plush coat, zebra-like detailing on the legs, large upright ears and button eyes. Measuring at 32cm, this okapi is a perfect size to cuddle and love.